When I began working at WKZO the station just undergone a change in ownership that decimated the news department. It was up to me to develop many organizational aspects of the department from scratch. 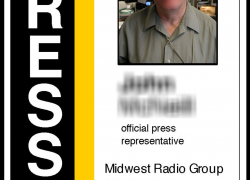 That included designing press passes for our nascent crew of reporters. 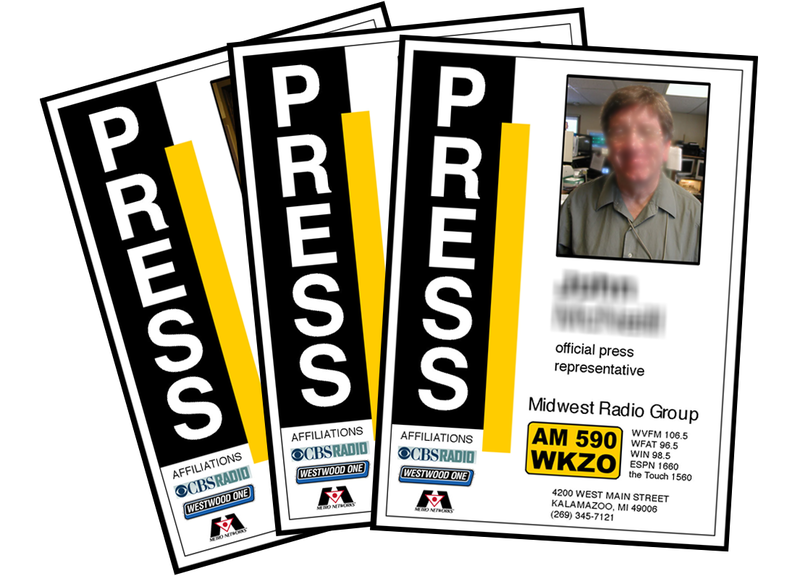 The WKZO news department’s new press passes had to prominently feature the reporter’s name and image as well as the relevant station identities and affiliations. 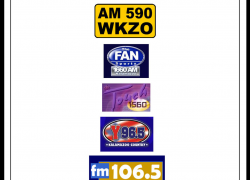 The WKZO news department’s press passes featured logos from all the associated stations down the back side.